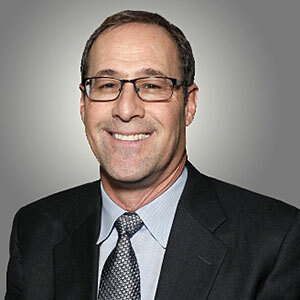 Dr. Gary B. Briskin, a lifelong sports enthusiast, maintains a special passion for hockey and running. He parlays that same spirit into all aspects of podiatry: sports medicine, arthritis prevention and reconstructive surgery. As co-founder and co-director of University Foot and Ankle Institute, board-certified Dr. Briskin began his medical training by serving a residency at Flint General Hospital in Michigan. Once completed, he established a practice in Century City Hospital, where he soon became chief of podiatric surgery. In addition to his current work with the University Foot and Ankle Institute, Dr. Briskin also serves as an assistant clinical professor at the UCLA School of Medicine. He is a Diplomat of the American Board of Podiatric Surgery and a Fellow of the American College of Foot and Ankle Surgeons. Dr. Briskin resides in Manhattan Beach with his wife and son. He is currently involved with multiple running, hockey and soccer organizations. Dr. Briskin is available for consultation at the Santa Monica and South Bay University Foot and Ankle Institute offices. Extremely professional and took care of my problem and appointment immediately. A great experience. A great staff. I had a great experience and appreciate the care I received. Very, very happy and feel very comfortable with Dr. Briskin and his team! Your office is very professional. Our appointments have always been taken on time. The staff is helpful and doctor is amazing!! I always get great care from Dr. Briskin's team. Thanks! Barbara, a patient of Dr. Gary Briskin discusses her Bunion Surgery experience at the University Foot and Ankle Institute. Illinois College of Podiatric Medicine Chicago, Illinois 1982 . Youth Baseball & Heel Pain: should kids play through the pain?